Used Mercedes E-Class Review - 2016-present | What Car? What's the used Mercedes E-Class estate like? The rise of the luxury SUV might continue apace, but there’s plenty of life left in the old-fashioned concept of a good estate car based on an executive saloon. Of these, the Mercedes-Benz E-Class Estate is one of the most long-lived and the most impressive. As with all the previous incarnations, this latest one blends a capacious interior with elegant styling and a comfortable ride, and it offers a degree of competence about the way it drives that the taller SUVs struggle to match. As far as engines go, there are three diesel options: two different versions of the 2.0-litre four-cylinder unit, and a quicker V6 unit. All of these do a good job of punching the E-Class through the air at a good lick, while offering reasonable economy. Petrol engines can be found in the four-wheel drive E 43 and E 63 super-sporting models, and these are wonderfully responsive but not for the faint-hearted or those without deep pockets. 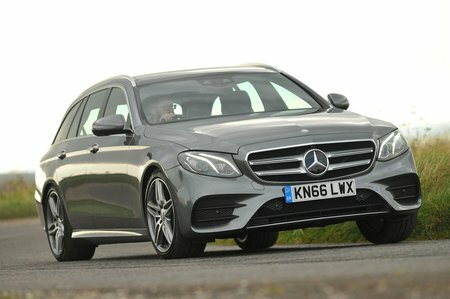 The E-Class rides well, too, even better on its optional air suspension, and its handling is tidy. There is a little shake and shimmy from the standard steel-sprung cars over rougher roads at lower speeds, but it’s not enough to distract from the general comfort of the car. 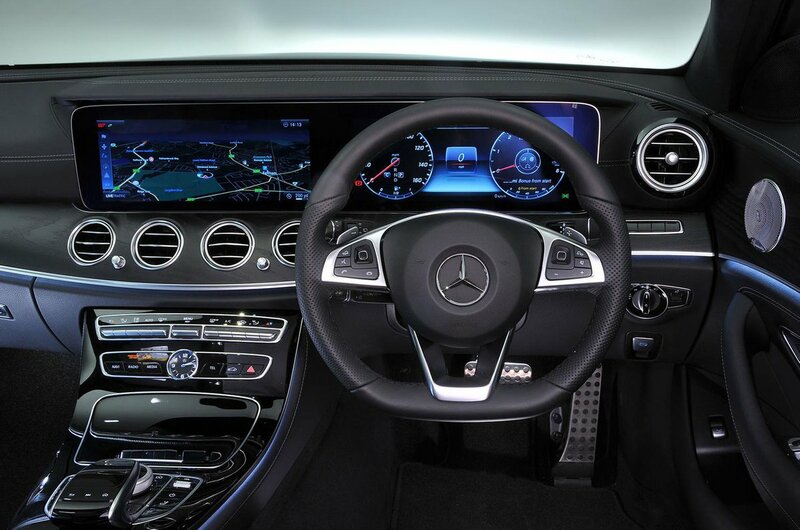 However, where the E-Class really scores is its high-speed refinement. Having nine gears in its automatic gearbox – most of its rivals have ‘only’ eight – means at 70mph the engine ticks away quietly, while wind noise is well suppressed. Only a bit of rumble from the tyres stops it beating the peace and quiet served up by a BMW 5 Series at cruising speeds. Inside is a spacious interior of rare class, with a distinctive dashboard and plenty of adjustability in the driving position. There’s a neat rotary controller for the infotainment system, too, and all the materials and plastics look and feel of a good quality. Its raison d’etre is the boot, though, which has masses of room with the rear seats up and a phenomenal amount with them down. You can even specify two optional pull-up seats in the boot to turn your E-Class into an SUV-busting seven seater.